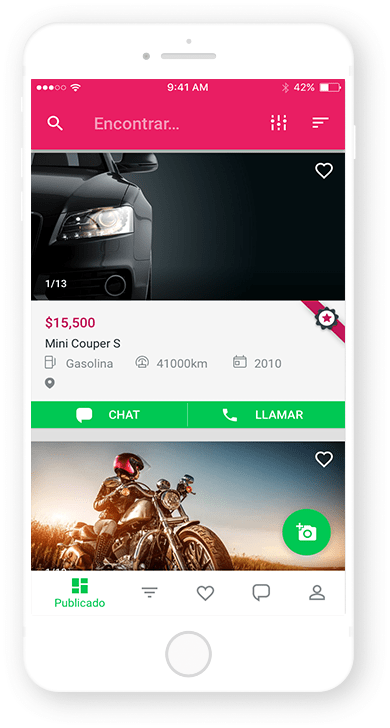 App of the Central America’s leading website of classified advertising Encuentra24 that provides you the best offers in houses, cars, furniture, sport equipment, electrical appliances, jobs or any type of product and service. The Encuentra24 App is the easiest way to advertise and sell services and new or second-hand products online, anywhere, at any time. The offers are constantly updated, which improves the App’s usability and features for the Encuentra24 community, with 4 million visits per month. Optimize sales by making the ad stand out if you have a platinum, silver or gold identifier. Sort ads by price, date, keyword and size. Access your account and profile to synchronize and edit your details and ads. Attach your CV in job offer applications. Receive notifications with ads of your personal interest.